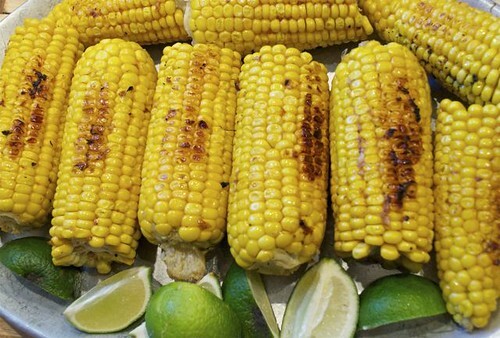 When fresh corn is overflowing on farm tables from coast to coast, and you want that just-barbecued bang, but you got no grill – look no further than your stove-top! When you put those built-in sugars to work, delectable is right around the corner! It starts with a steam and ends with a sear, and where you go from there, is completely up to you. 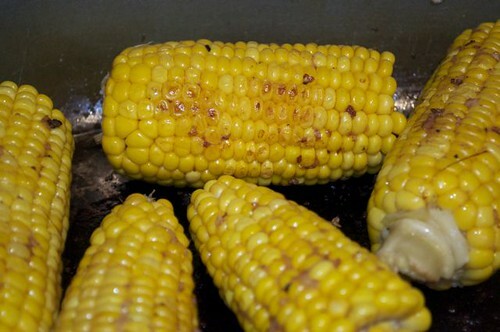 So whether corn season was here, is here, or is gonna be here – a sizzling hot pan is where it all happens! 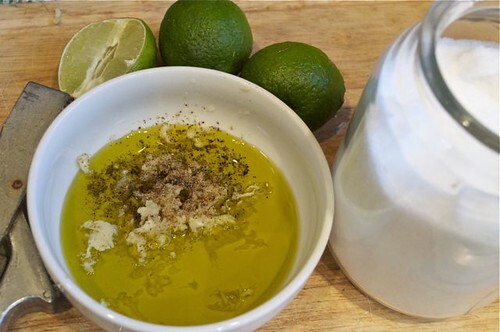 And when it comes to dressing your cobs, anything goes, and of course, I can’t resist weighing in – spicy butter, citrus butter, herb butter or spicy citrus herb butter – or get on the flavoured oils bandwagon, grab a brush, and start slathering! 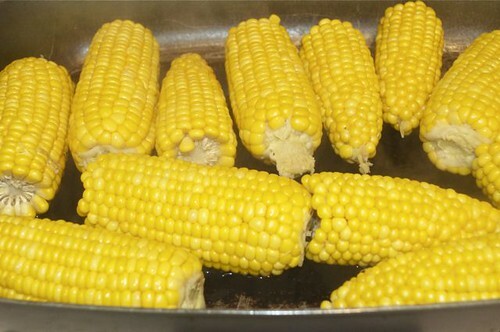 Sooooo – if you can possibly settle on one cob topping, don’t – whip up a buffet of butters & have yourself a feast! 1. 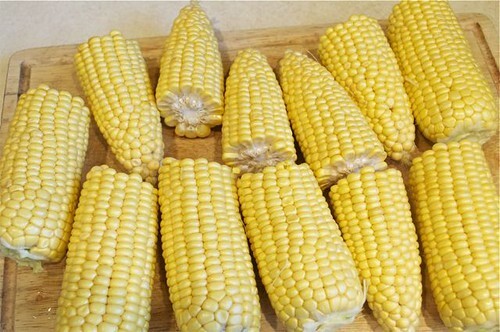 Shuck as many cobs as you like. 2. 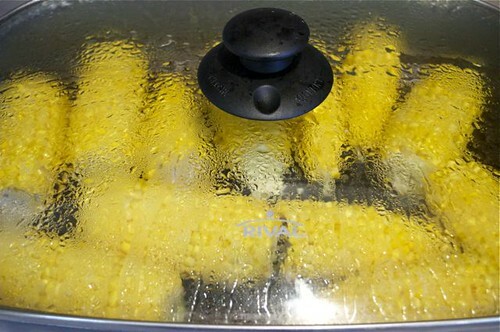 Heat up a pan large enough to hold your cobs and cover the bottom with water. 3. Put the cobs in and cover the pan. 4. In the meantime, get a few flavours together. 5. Whisk ’em up in a bowl and set aside. 6. 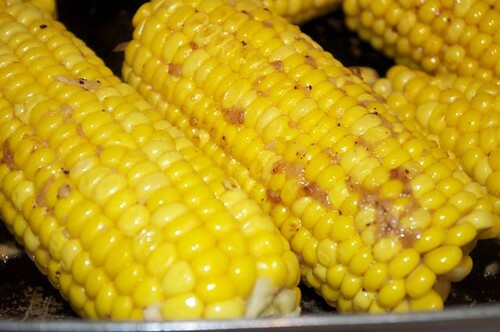 While your cobs steam to perfection. 7. 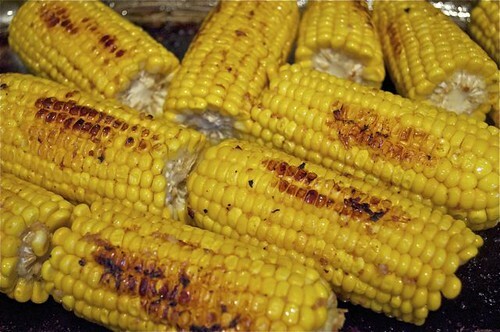 Your cobs are now ready to be sauced and seared. 8. Douse with the citrus mixture and roll ’em around to coat thoroughly. 9. 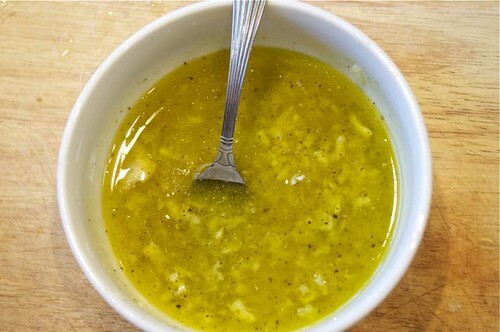 Just like this, and turn up the heat to medium-high. 10. And watch the magic to happen. 12. 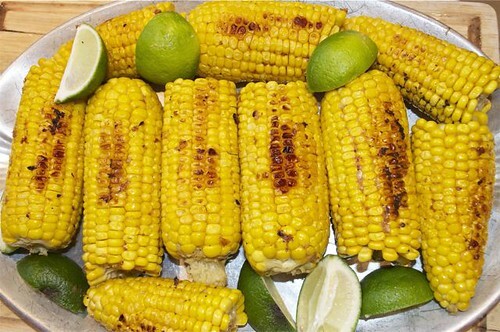 Load ’em up on a platter, and serve with wedges of lime. 1. 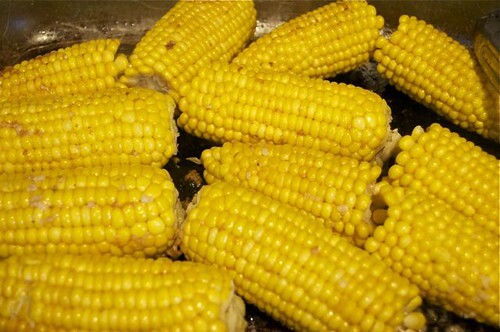 Shuck as many ears of corn as you want. 2. 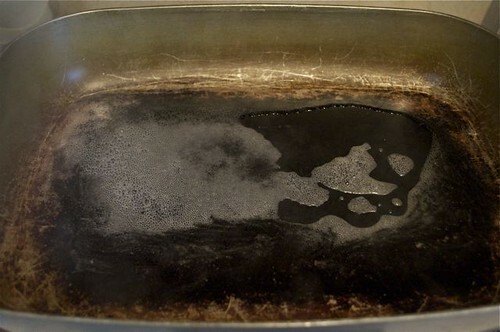 Get a little water in a hot pan with a fitted lid (or aluminum foil). 3. 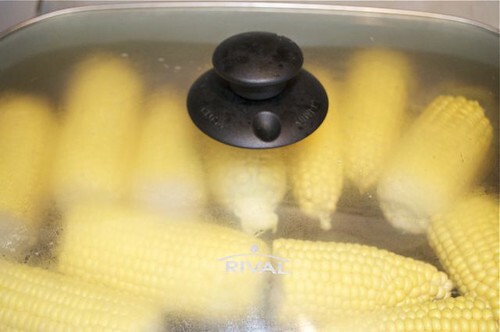 Lay the cobs in a single layer and cover to steam for a few minutes.